How do you prepare yourself for prayers when the running event slits between the praying time? A common question that is always brought up in a running event that’s held at Fajr (sunrise) and Maghrib (sunset). Well, it’s not hard as it sounds. You just have to get use to it. Wear a sports outfit that are well covered and can be used for prayers. Nashata offers a range that you could wear for prayers. Azlina Idris wears the Nashata Riada top and pants. Here’s her review. If you want to pray in more hygienic manner, it’s probably best if you bring your prayer veil in a small backpack. Make sure the prayer veil is light enough so your running speed won’t get affected. For men and women, you can do the prayer with sports shoes you wear. But make sure you do not step on dirty items and you are sure your shoes are clean. Women can wear socks to avoid seen aurah during prayer. If you want to reduce time for ablution, take it before your activity starts. If your route passes by water stations, you could use the water provided for ablution. However, be caution. Organisers or volunteers may not allow you to use allocated drinking water for ablution. Try negotiate. Don’t use too much water. You can bring along a 100ml spray as ablution. It is small and easy to carry. Here’s a video on how to perform ablution using a 100 ml spray bottle. 5. Ladies, you can take ablution in public if you have the Nashata Iman Sports Hijab on. Watch this video to find out how to take ablution with hijab on. What should you do if it is too late for prayer time? 1) Find a place that is believed to be clean for praying. 2) Know the direction of Mecca. You can download the Qibla direction indicator applications in the mobile phone or carry a compass direction in advance. There are many free apps in Google Play (Android) and App Store (iOS) that you can download. 4) For the purposes of safety for women, be sure to pray in public areas that are closed but safe. Ideally, if you pray in an area that isn’t intended for prayers, make sure you are not alone. 1) Ask the organizers relevant info for prayers. 3) Search for the nearest mosque. 4) You can use the latest technology to find relevant information via internet or GPS applications to find any mosque. 5) Know the timing and location of your prayers or provided nearby. You can devise how long you will be running or cycling exercises of performance before the event. Make plans in advance to visit the site so that you become more aware of your surroundings. 6) Know praying times at the location of sporting events in advance. This is especially important when you join sporting events abroad. Every good action you do is countable as deeds. No matter where you are, always remember prayer is the pillar of religion. Good Luck & Share With Your Muslim Friends! 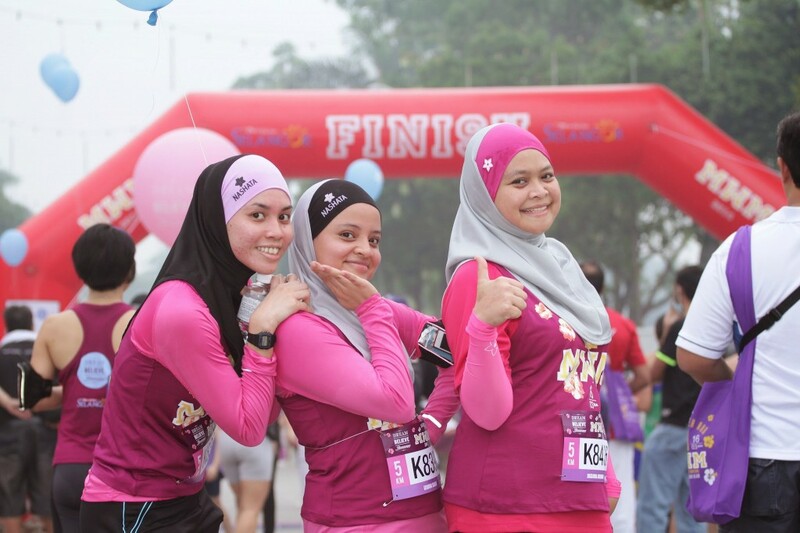 This entry was posted in General and tagged ablution, how to pray, prayers, praying during running events, praying mat, praying time, running, running events, sembahyang, Subuh by Sarah. Bookmark the permalink.